Donald Davies was one of the inventors of packet switching computer networking. He coined the term 'packet' and today’s Internet can be traced back directly to this origin. Other scientists also came to the same conclusion at about the same time. In 1947, after learning about the Automatic Computing Engine (ACE) he joined the National Physical Laboratory (NPL) laboratory as a member of the small team, which was led by Alan Turing of Bletchley Park fame. The group's work, based on Turing's design, eventually led to the Pilot ACE computer. It was one of the first four or five electronic stored-program digital computers in the world. Davies had played an important part in the detailed design and development of the machine, and its successor, the full-scale ACE. In 1966, he returned to NPL and became involved in the development of an idea he had originated in 1965: that to achieve communication between computers a fast message-switching communication service was needed, in which long messages were split into chunks and sent separately to minimize the risk of congestion. The chunks he called packets, and the technique became known as packet-switching. America’s Advanced Research Project Agency (ARPA), and the ARPANET received his network design enthusiastically and the NPL local network became the first two computer networks in the world using the technique. Davies's team explored packet switching in their laboratory, but Donald could not convince the British to fund a wide area network experiment. His papers, however, did show the importance of packet switching for computer communication. 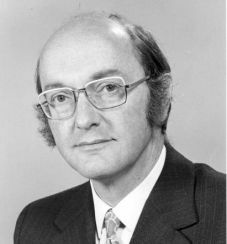 Davies received the British Computer Society Award in 1974. His books included Communication Networks for Computers in 1973, Computer Networks and their Protocols in 1979, and Security for Computer Networks in 1984. Donald Watts Davies was born in Treorchy in the Rhondda Valley in Wales. At Imperial College, London, he gained BSc degrees in physics in 1943 and mathematics in 1947. He died on May 28, 2000 at the age of 75 years.